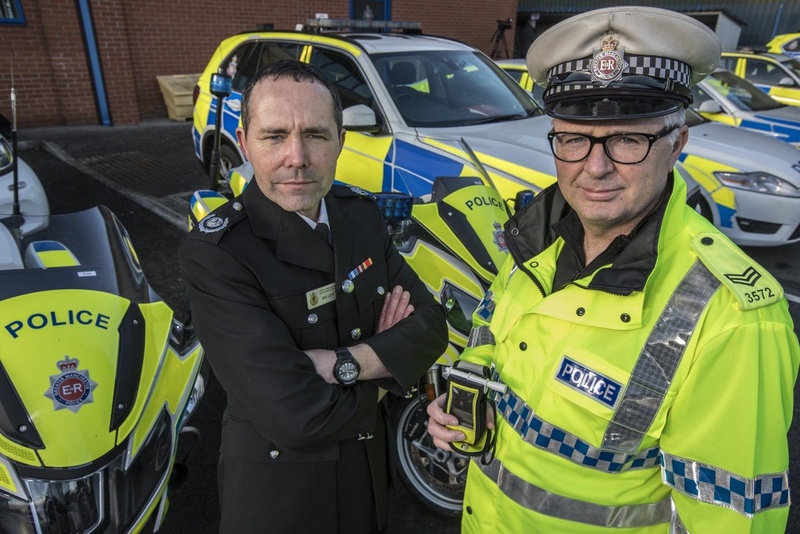 Greater Manchester Police is ramping up the fight against drink and drug drivers and warning they are more equipped than ever to catch them, as they launch their latest ‘none for the road’ operation today (Friday 15 June). Running until Sunday 15 July, the initiative will see increased patrols and road checks during a period of warmer weather and the football World Cup, which police say usually sees an increase in people driving under the influence. Officers will continue to encourage abstinence rather than restraint reinforcing the ‘none for the road’ message in relation to both drugs and alcohol – the introduction of a drug testing device in 2015 now makes it even easier for police to determine if motorists are over the limit at the roadside. Last summer 722 motorists were breathalysed across Greater Manchester during a month long operation with more than 225 – almost a third of drivers tested – returning positive results for alcohol or drugs or failing/refusing to take the test. Inspector Harrison White from GMP’s Road Policing Unit said: “The consequences of drink and drug driving have been well publicised, but there are still far too many people ignoring advice and putting lives at risk. Our message to motorists this summer is the same as throughout the year – make it ‘none for the road’. “The warmer weather and longer evenings, combined with a football world cup, can increase the temptation for people to have one or two drinks outside after work or during the match and then drive home – this is exactly the type of scenario that we are looking to avoid. Ben Levy, Area Manager for Greater Manchester Fire and Rescue Service, is urging people to plan their lifts home carefully before going out throughout the world cup: “The world cup only comes along once every four years and it’s a time to be enjoyed and hopefully a time for celebration – but even a small amount of drink or drugs can impair your judgement and ruin the fun. The fire and rescue service is called to far too many incidents where alcohol or drugs have been consumed by drivers before getting behind the wheel. Deputy Mayor for Policing and Crime Beverley Hughes said: “We want everybody to be able to enjoy the world cup safely – without the danger of drink or drug drivers being on the road. Motorists caught drink or drug driving could face a driving ban, a criminal record and a fine of up to £5000, however the real cost is the life changing injury or devastating loss of life that occurs due to the thoughtless and reckless actions of the driver. If you suspect anyone of driving under the influence of drink or drugs, contact the police immediately on 101 or 999 if they pose an immediate threat to themselves or other road users. Alternatively, call Crimestoppers anonymously on 0800 555 111.